Here’s a piece I wrote for media outlets following Tim Farron’s speech at the LibDem Party Conference in Bournemouth. Tim Farron: The Real Deal or Clegg 2.0? 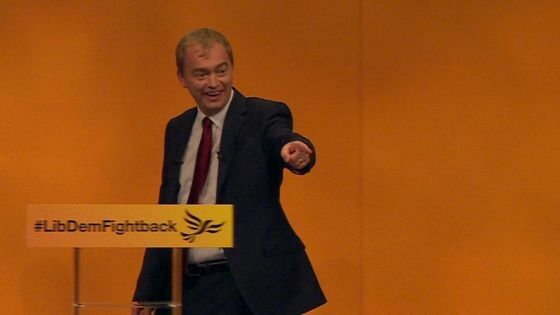 So Tim Farron has made his first keynote speech as leader at the party’s conference. Voters in 2020 may well place their trust in the LibDems but will they do so grudgingly? In the view of Jeremy Jacobs, presenter and broadcaster who hosts corporate sector events, “despite his enthusiasm and superb delivery, there was a sense of a school spat between a recalcitrant teenage student and a stressed female teacher – ‘wasn’t my fault Miss’ – I refer to the catastrophic LibDem meltdown on May 7th, rather than tomfoolery in the classroom or playground”. One of the key elements to any speech, is to really understand who and what is your audience. “The LibDems will need to reconnect with those voters who abadoned them last time around; Tim Farron’s speech was heard in all four corners of Britain but I’m unsure as to whether the public felt he was speaking to them or just a few hundred party apparatchiks in Bournemouth”. – What do they want to hear, or putting it another way, ensure your message is spot on.